Care and Preservation of the Environment. This achievement has been sustained up to date, ratifying the annual commitment established in the Strategic Tasks of the Company. 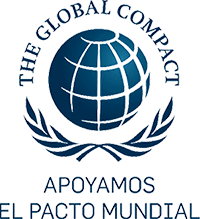 Molymex has obtained the recognition of Environmental Excellence, the highest award granted by PROFEPA, to companies that “go beyond legal compliance”, which is based on showing good practices within the continuous improvement of environmental care. Molymex, throughout its history, has kept within its environmental performance. •	ISO 9001 Quality Management System since 1997. •	ISO 14001 Environmental Management System since 2002. •	OHSAS 18001 Occupational Health and Safety System since 2004. Molymex has the Clean Industry certification, which is a program that allows the integration of an environmental management system that enables regulatory compliance, which is evaluated in an integral, systematic, objective and documented manner, regarding the way in which a company, its personnel and its equipment, operate with the objective of protecting the environment. 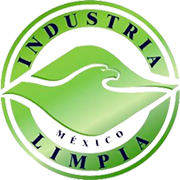 The environmental certification allows the improvement of the industries’ productive processes and their competitiveness at a national and international level; in addition to facilitating the environmental improvement, saving in energy consumption and avoiding sanctions for non-compliance with environmental regulations, as it prioritizes prevention over sanctions.